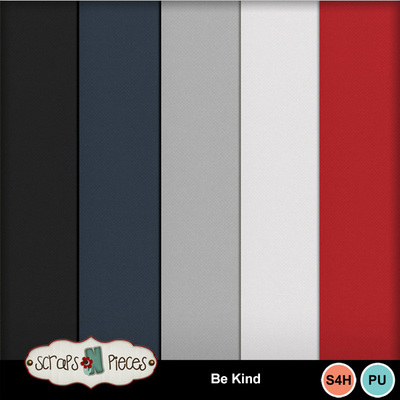 "In a world where you can be anything, be kind." But scrapping such stories can be difficult – you don't want your kit to detract from the story you're telling. Be Kind complements your stories without overwhelming or distracting from them. 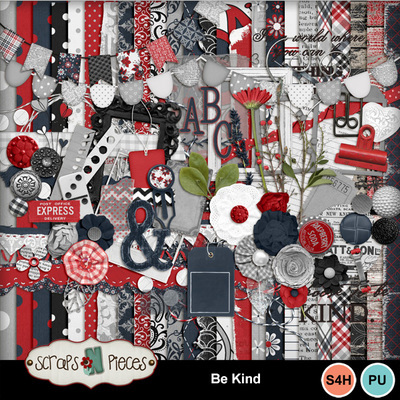 With plenty of neutral blacks, white, grays, and navy blue, it can fade completely into the background, while pops of red add some extra love to your layout. 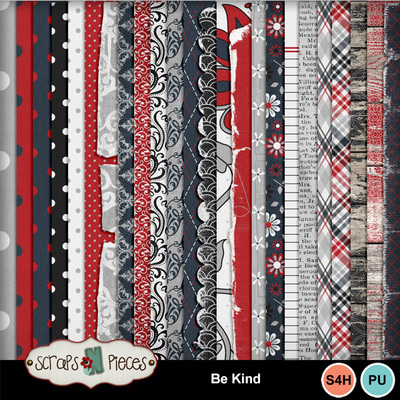 The patterned papers, flowers, and ephemera pair nicely with the rest of the Scraps N Pieces catalog for perfect mixing and matching, while the thematic word art emphasizes kindness above all. 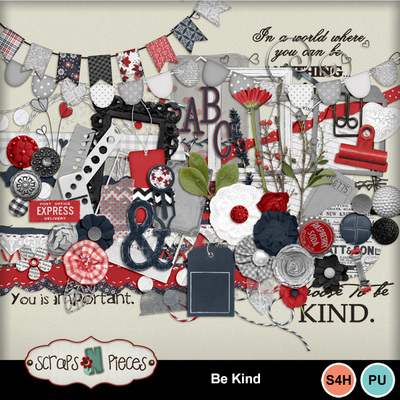 This kit is perfectly suited for heirloom scrapping, day to day stories, or even planning for a brighter future. 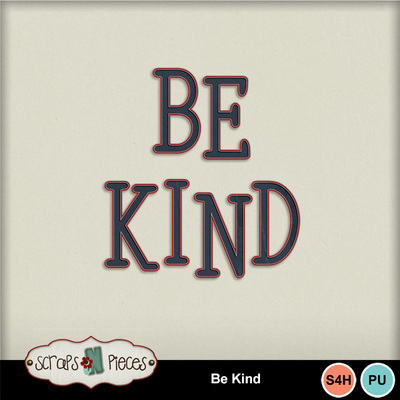 If you're someone who is known for choosing kindness, choose Be Kind for your scrapping too.